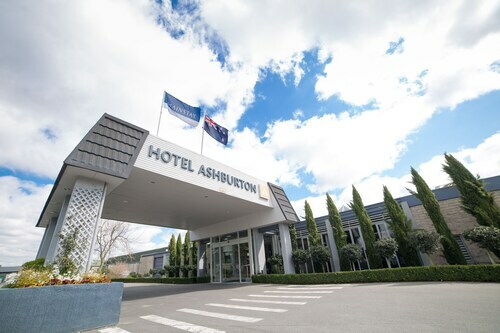 Situated in Ashburton, this golf hotel is 1.2 mi (1.9 km) from Ashburton Domain and within 3 mi (5 km) of Historic Art Gallery and Museum and Trott's Garden. Ashburton Aviation Museum is 2.7 mi (4.4 km) away. 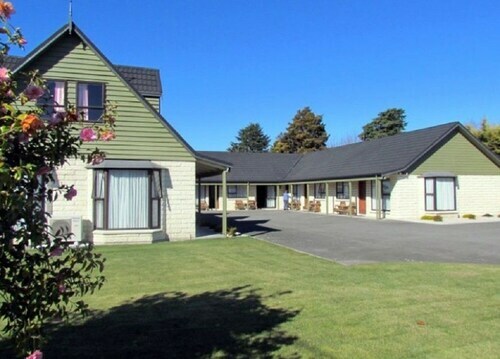 Situated in Ashburton, this motel is 0.8 mi (1.2 km) from Vintage Railway Museum and within 3 mi (5 km) of Historic Art Gallery and Museum and Ashburton Domain. Trott's Garden and Ashburton Aviation Museum are also within 6 mi (10 km). 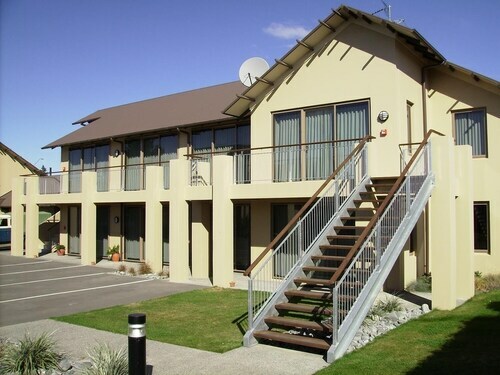 Situated in Ashburton, this eco-friendly motel is within 1 mi (2 km) of Ashburton Domain and Historic Art Gallery and Museum. Trott's Garden and Ashburton Aviation Museum are also within 3 mi (5 km). Situated near the airport, this motel is within 1 mi (2 km) of Ashburton Domain and Historic Art Gallery and Museum. Ashburton Aviation Museum and Trott's Garden are also within 3 mi (5 km). 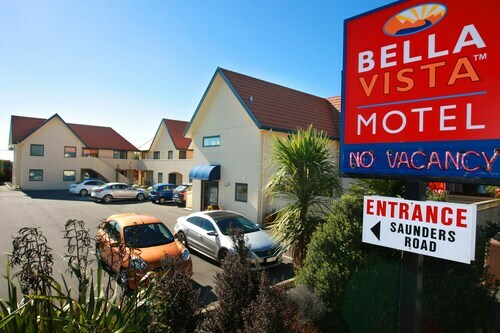 Situated in a shopping district, this motel is 1 mi (1.7 km) from Ashburton Domain and within 3 mi (5 km) of Historic Art Gallery and Museum and Trott's Garden. Ashburton Aviation Museum is 2.5 mi (4.1 km) away. New Zealand’s Ashburton is located on the South Island’s Canterbury region It sits on the coast some 85 kilometres away from Christchurch. It’s an unexpectedly large town and it is situated between two large rivers and surrounded by farmland.. The wider area also boasts soaring mountains and sparkling lakes. There are lots of activities for you to enjoy, as well as several local attractions, so it’s no wonder the town attracts many visitors each year. Whether you’re passing through or planning to stay for a while, stay with us in our great range of Ashburton accommodation. If you love fishing, especially fly fishing, you’ll be in your element in Ashburton. The mountains offer exciting winter skiing and snowboarding, whilst in the summer they’re perfect for hiking, biking, and climbing. The Mt Hutt ski area is within easy reach. Admire the beautiful scenery from up high with a hot air balloon flight. Golf enthusiasts can have fun on one of the nearby courses, and other available activities include swimming, skydiving, and paintballing. To learn more about the area, visit one of the six interesting museums in the town; the main museum shows how Ashburton has developed over the years, and there are also museums dedicated to cars, trains and planes. Take note, transport enthusiasts! The main street is home to a wide assortment of shops, many of which stay open late at night. You can buy some local art and crafts to take home as a memento of your stay Other local attractions include Winchmore Gardens, Coniston Homestead, Rakaia Gardens, Trotts Gardens, Washpen Falls, Akaunui Historic House, and the Longbeach Estate. There is certainly plenty to do for people off all interests and tastes! Have a look at our cheap flights to Christchurch and terrific Ashburton hotels for a perfect stay in this lovely part of New Zealand. How Much is a Hotel Room in Ashburton? 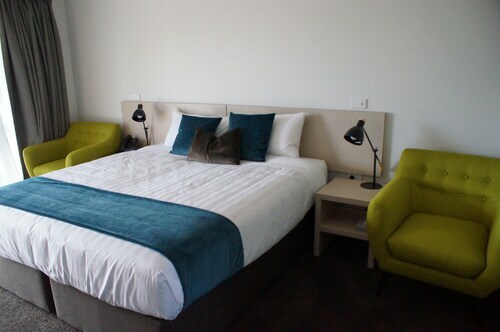 Hotels in Ashburton start at NZ$109 per night. Prices and availability subject to change. Additional terms may apply.